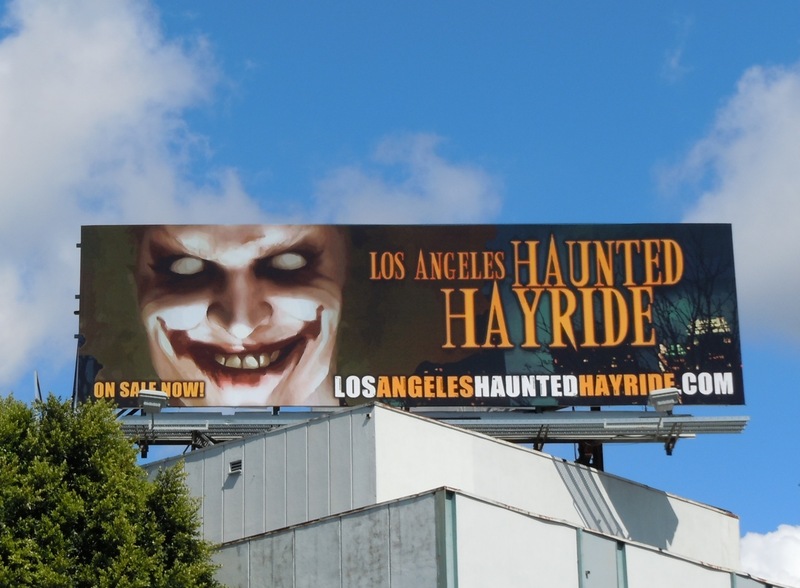 Let's face it, it wouldn't be Halloween without a suitably spooky billboard today, so enjoy this ad for the Los Angeles Haunted Hayride. 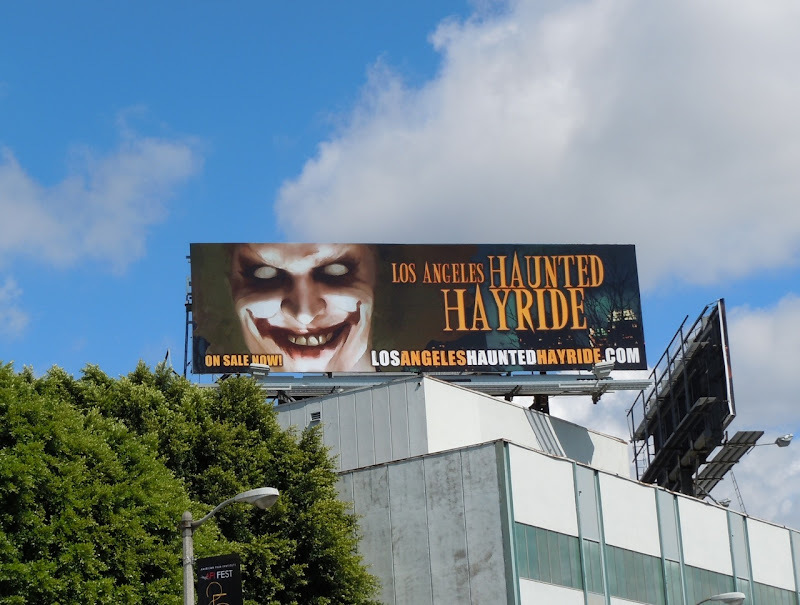 Daily Billboard thinks that they may have taken their inspiration from The Dark Knight's Joker for this Halloween billboard creative. This cool billboard was snapped along Beverly Boulevard on October 4, 2011.